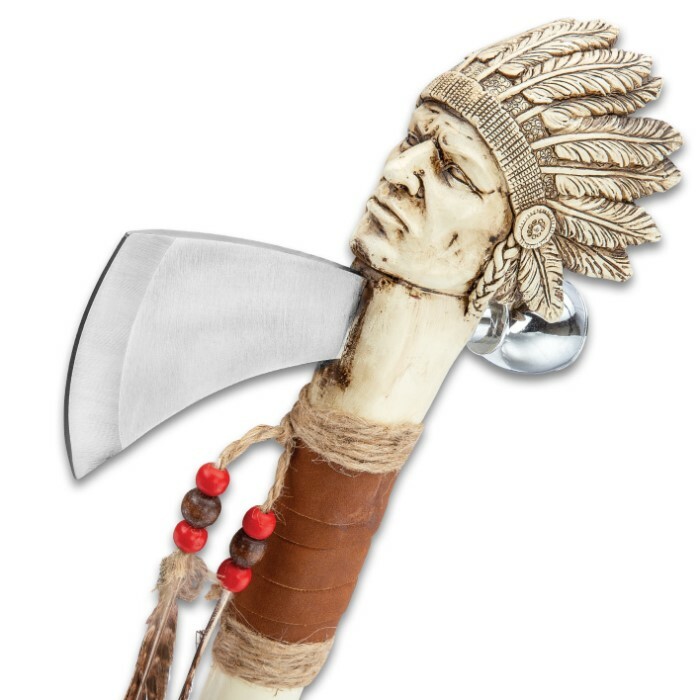 Cherokee Tomahawk And Peace Pipe Replica - Stainless Steel Blade, Crafted Of Cast Polyresin, Feather Accents - Length 16” | BUDK.com - Knives & Swords At The Lowest Prices! 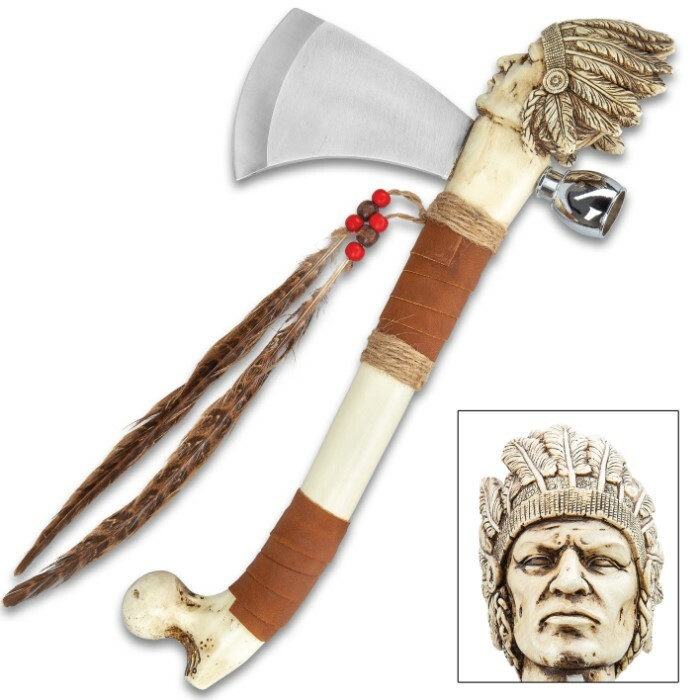 The Cherokee Tomahawk And Peace Pipe Replica fits perfectly into a Native American collection or as a striking display piece in a hunting lodge or cabin. 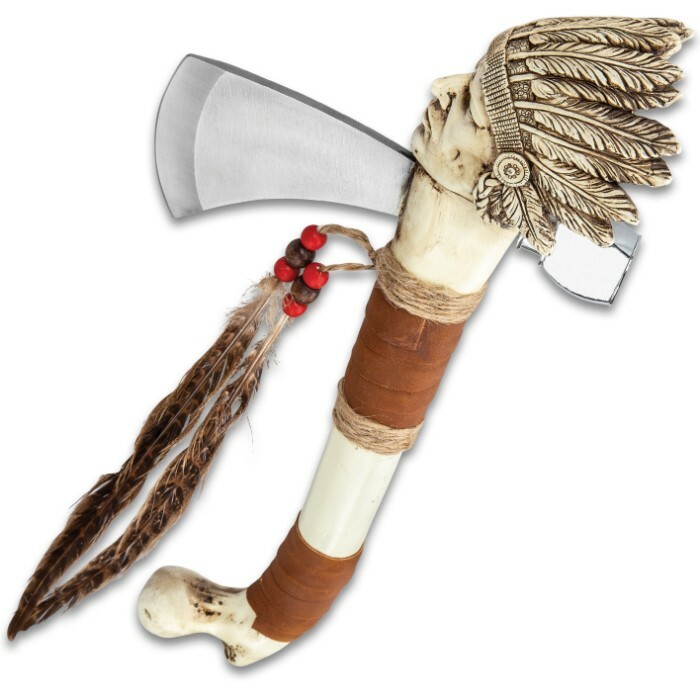 It has a hefty 3 3/4” stainless steel tomahawk head with a 3” blade and a replica peace pipe opposite the tomahawk head. 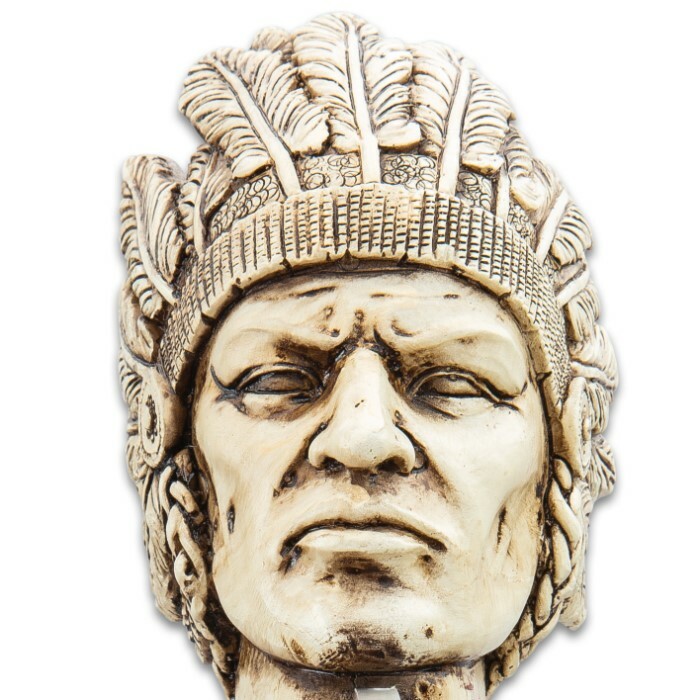 The handle is expertly crafted of polyresin and handpainted to look like an actual bone with an intricately detailed Indian chief head carved out of it. 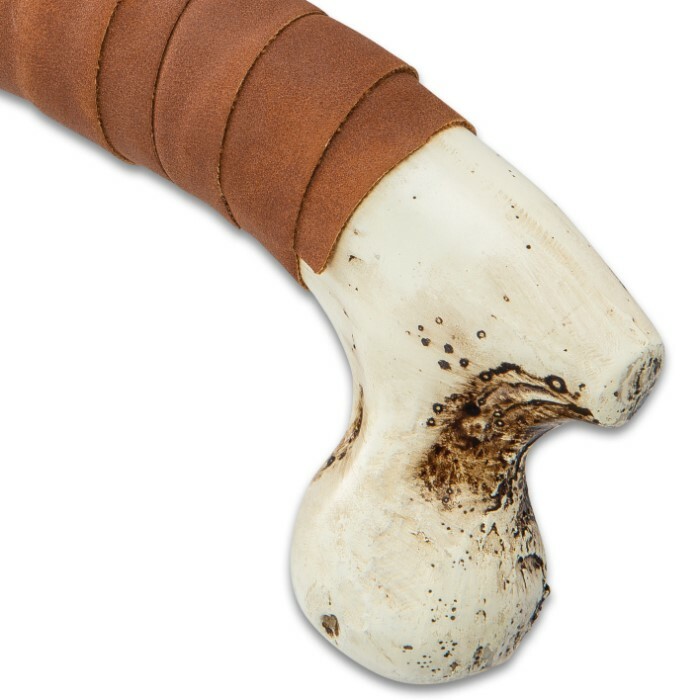 The tomahawk is accented with faux leather wrap, natural twine wrap and feathers with red and brown wooden beads. The very realistic, carved bone-look tomahawk has an overall length of 16” and an impressive heft to it when you hold it in your hand.